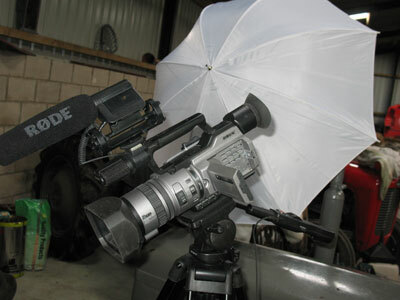 We have now completed filming the Hydraulics DVD for the TE 20 tractor range. Everything went pretty much to plan with the filming, although the sheep in the nearby field didn’t seem to underatand we needed them to keep quite when we were recording the audio. Some of the scenes needed several ‘takes’ to capture some footage without the sheep noise, but even then there is the odd bit of bleating in the background. As I said previously, the oil was all contaminated with water and looked a sickly orange colour. There was also about half an inch of dirt and deposits in the bottom of the transmission casting. Either this dirt or the moisture in the oil was the probable cause of the control valve been seized in one position. The control valve oscilating rod had also become detached from the control valve. We don’t know if the cause of this was the stuck control valve or if the detached oscilating rod was the cause of the stuck control valve. What matters is that it was relatively easy to free off the control valve. The pistons of the hydraulic pump were scored from the dirt in the system (there isn’t a filter on the TE20’s so that probably didn’t help this situation), but the vavles and everything else seemed OK. Although the control valve had been stuck it was in remarkably good condition and still a good fit in its body. However, it is very difficult to assess the fit of the control valve as only the slightest bit of wear can cause problems. We would normally have used a repair kit on this pump to bring it back to optimal performance, but the owner of the tractor simply wanted the control valve unseizing. So on the video we just went through how to remove and strip down the pump and then how to rebuild it. We also looked at the vavles, lift cylinder and cross shaft. The pump went back together using the existing components and then we tested it out. Everything worked just fine and in fact we left the cultivator in the raised position over night (with engine stopped) and the next day it was still right at the top of the lift, just where we had left it. We put a pressure gauge onto the system and tested when the oil was warm. It read 2000 psi. The rated pressure is 2500 psi, so this did show that the scores in the pistons were causing a less than optimal pressure output. This didn’t really matter, as it showed the consequences of refitting the slightly worn pump components. The point of the DVD was to show how to strip, assess and rebuild the pump and other components of the system – which we were able to do. The concept of our DVD’s is that if an untrained person watches them then they will be able to do the maintenance task on their own tractor. I think we have achieved this again with this DVD. I have a To-30 an I was wondering if the Te 20 hydraulic pumps and repairs are the same. My control arms will not stay down. Looking for a video thanks. I have purchased a Massey 165 and when it came time to utilize the PTO option, I discovered it will not work. 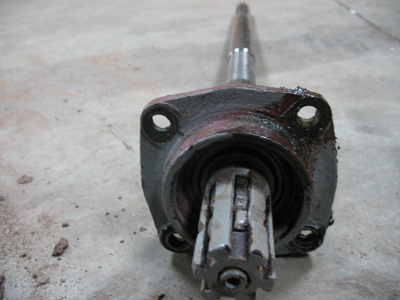 The shaft is always turning, but when put in a strain, the PTO stops turning. Will I need to rebuild the system or is there something that can resolve my issue with minimal expense. 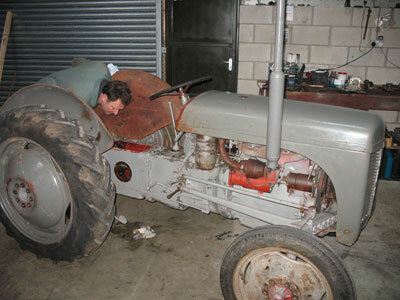 The TEF20 Engine DVD has been put back as we have been working on the MF35 Perkins Engine DVD. Great website. I would like to know if you are any closer to producing a DVD for a TEF engine rebuild and and improvements therein. I have a project in hand needing carried out. TEF been on the farm since before we got here over 45 years ago. How diffirent id a 23C to a TEF? No you don’t need to pull the p.t.o. shaft to remove the top cover and lift cylinder. You will, however, need to make sure you safely disconnect the legs that go down to the pump (this can be done through the side plates). We’ve now got the DVD’s back from the reproduction house, so they will be up for sale within a day or two. When is the DVD coming out for the TE20 Hydraulics? Will I be able to purchase before Christmas? The DVD should be up for sale on this website by mid December. As for the 165/188, well we are often getting requests for a 100 series hydraulics DVD – so it is somehing we will release eventually. If you subscribe to the website by adding your email address (right hand sidebar) then you will receive an email when the DVD is realeased. how can I purchase the video on grey fergie hydraulics? how much are they?